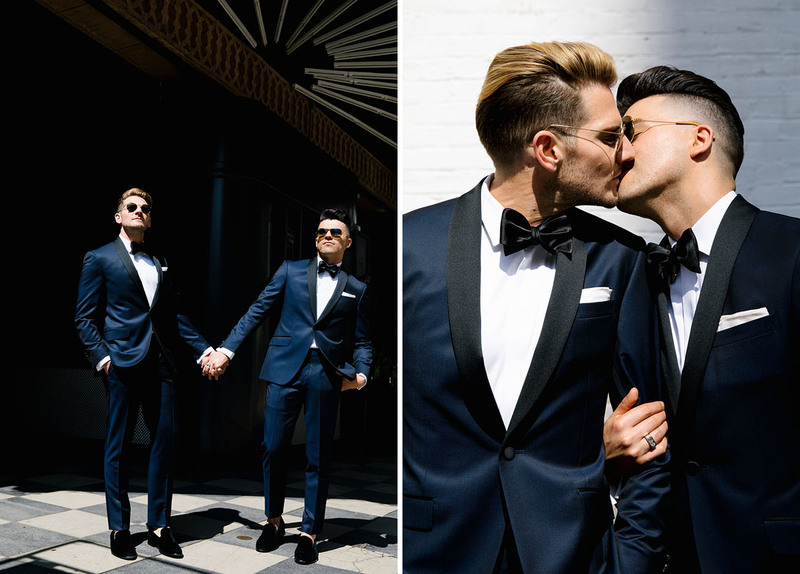 Those looking for a stylish and modern way to incorporate lots of bold greenery — today we’re looking to these two grooms! 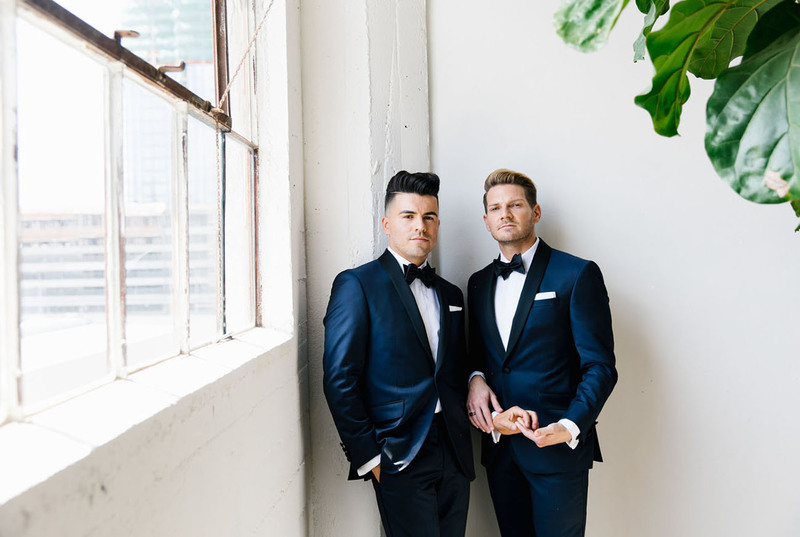 Anthony + Sean originally planned to get hitched in Big Sur, but due to the massive flooding this past winter their venue had to unexpectedly shut down and they had to find a NEW venue and change all their plans within 6 weeks! 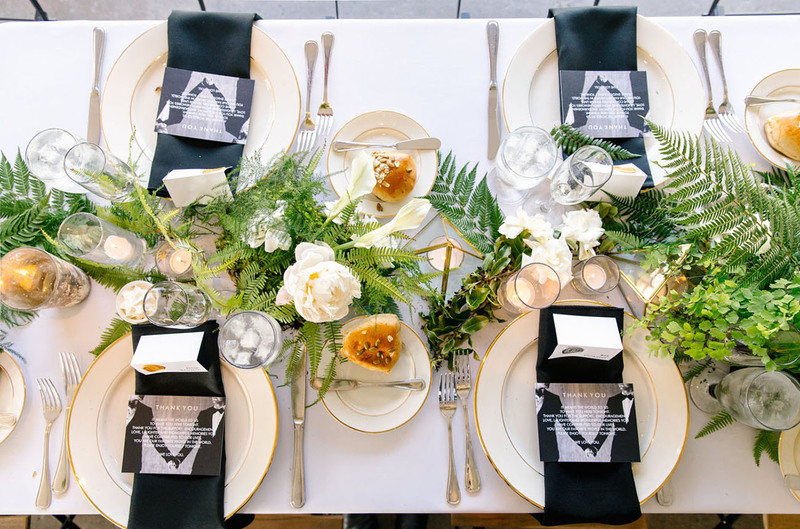 Amazingly, thanks to the help of their incredible planners Carley and Lindsay from Round Town Events, they were able to pull it off and keep their date! 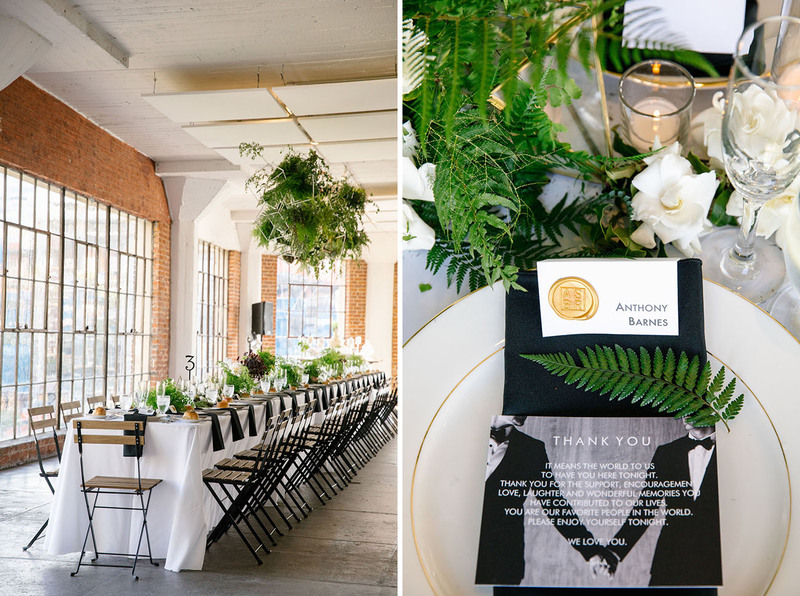 They moved everything to the Hudson Loft in Downtown LA and incorporated their love of nature throughout (which is what attracted them to Big Sur in the first place) with tons of plants mixed in with modern, classic design touches that kept a hint of masculinity. 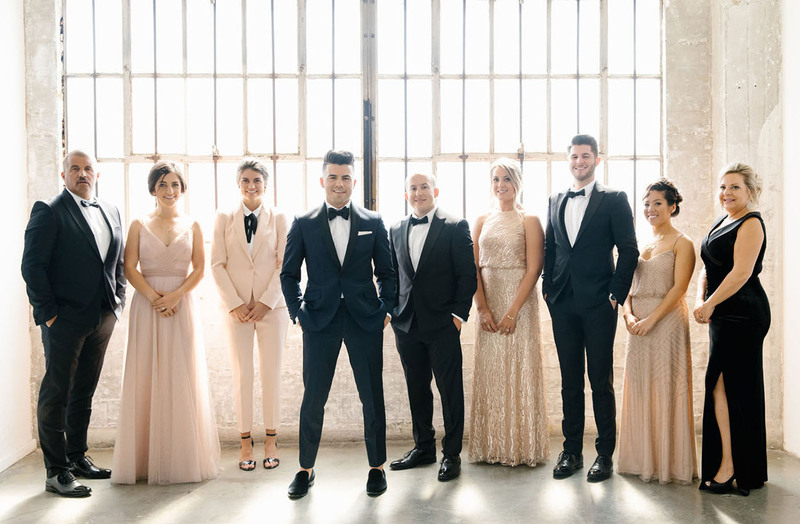 The duo shares with us: From the start, we both knew we wanted our wedding to be more of an experience than an event. 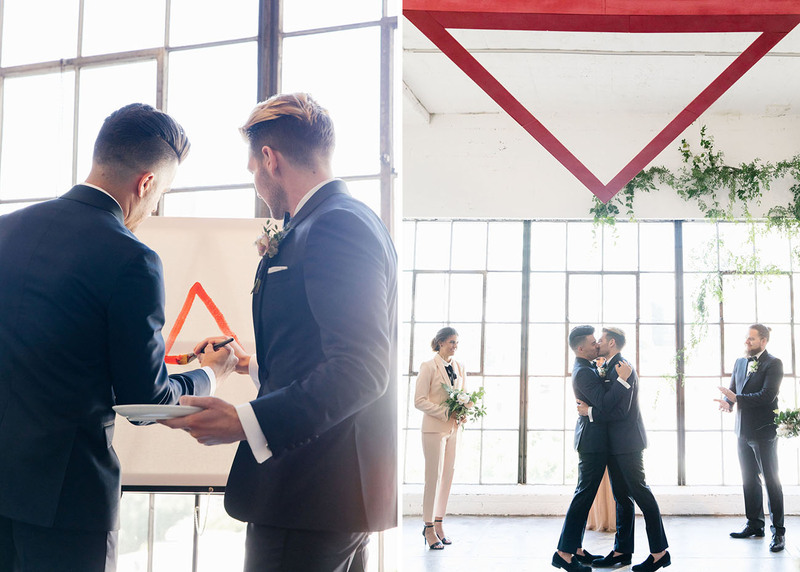 We wanted to ensure the day was rooted in the love we share for each other and our loved ones. So, one of the things we knew right away was that our wedding would be on the smaller side. 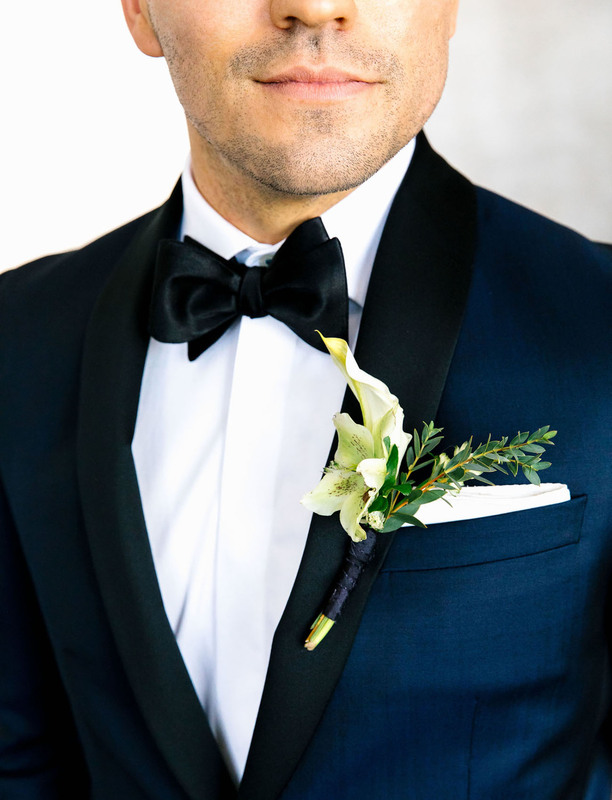 We wanted it to feel intimate, so we limited the guest list to just family and close friends. 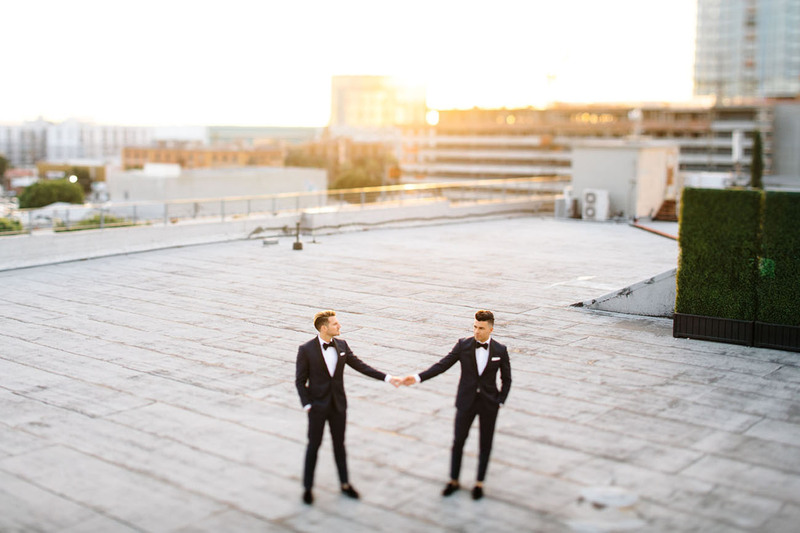 Next, we wanted the wedding to be in a place we felt reflected the culture of our relationship. 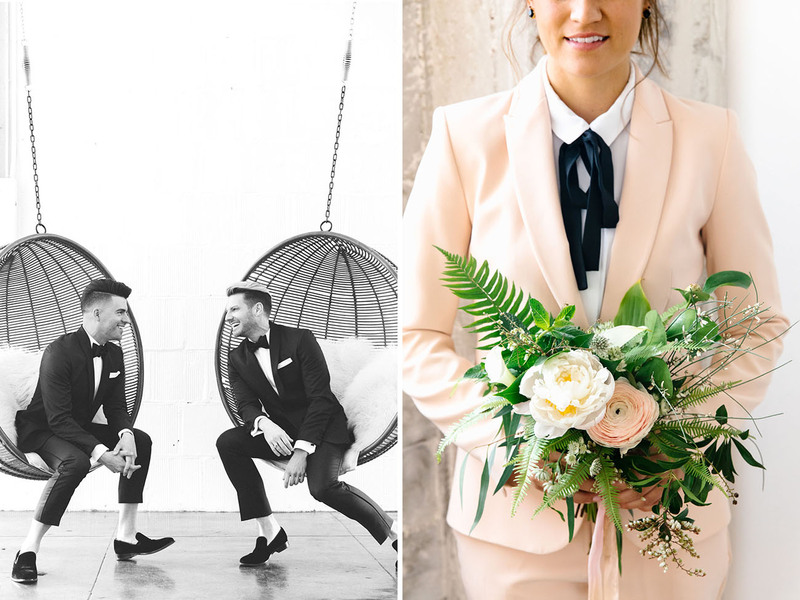 We both love the outdoors and appreciate the beauty and power of the ocean, so we chose to have our wedding in Big Sur, CA… But things changed and we were surprised…. and slightly terrified! Though things changed along the way, it all came to fruition! 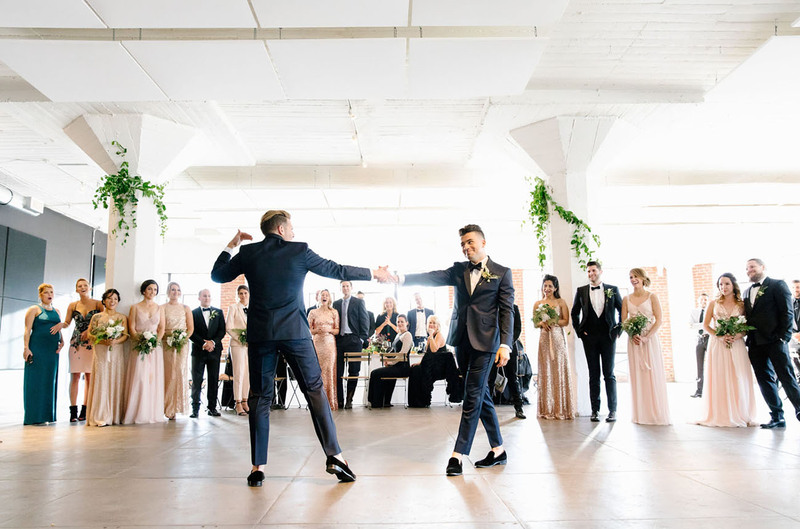 You just gotta go with the flow… Let’s see how it all came together in the photos by Jenn Emerling! 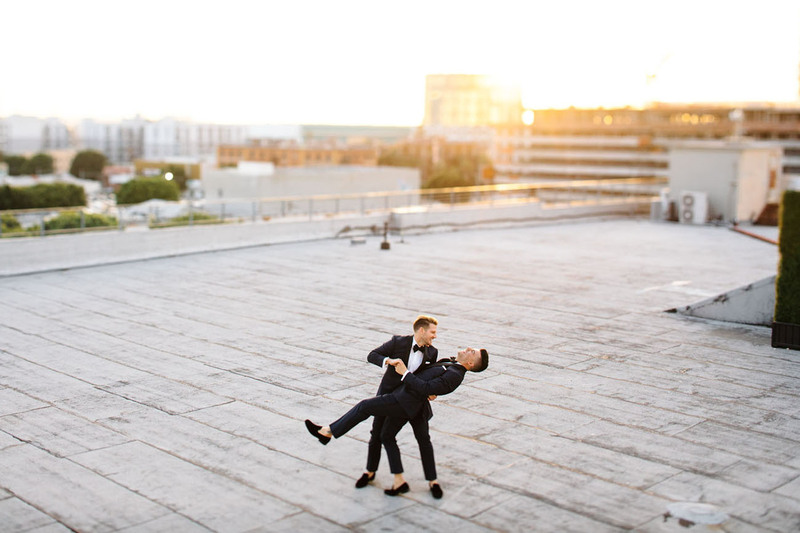 We ended up discovering a fabulous chic venue, The Hudson, in Downtown LA that really captured the essence of who we are (or, at least, who we like to think we are.) 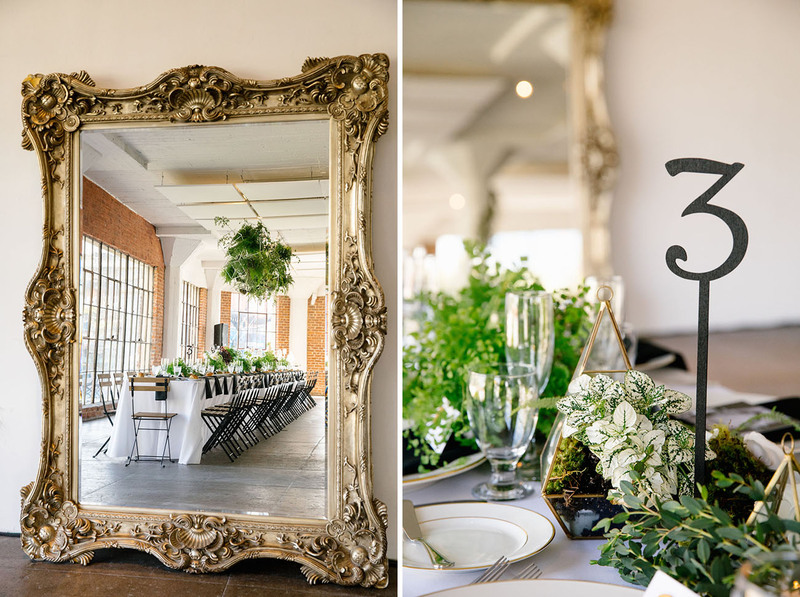 The venue was essentially a blank canvas, with rustic brick against white walls. We were inspired by the clean lines and fashionable furnishings. We decided to transform the reception area into an almost greenhouse-like space. 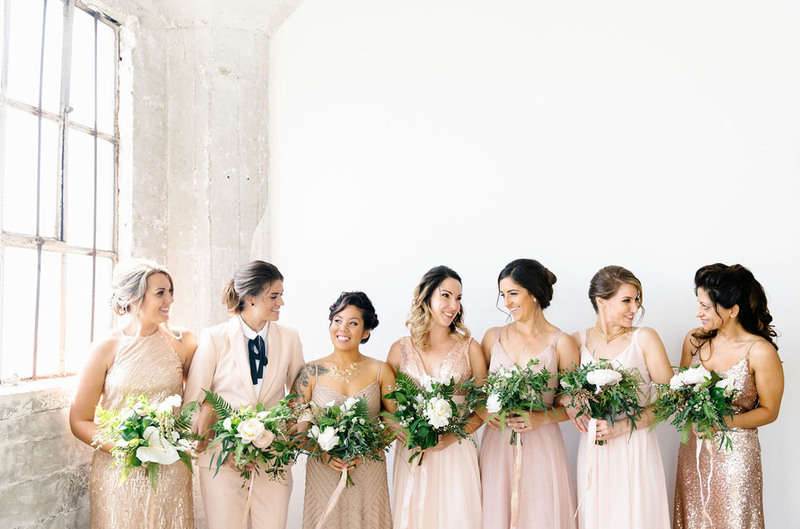 The ladies wore a collection of blush and gold ensembles that added a very luxe tone to the day. 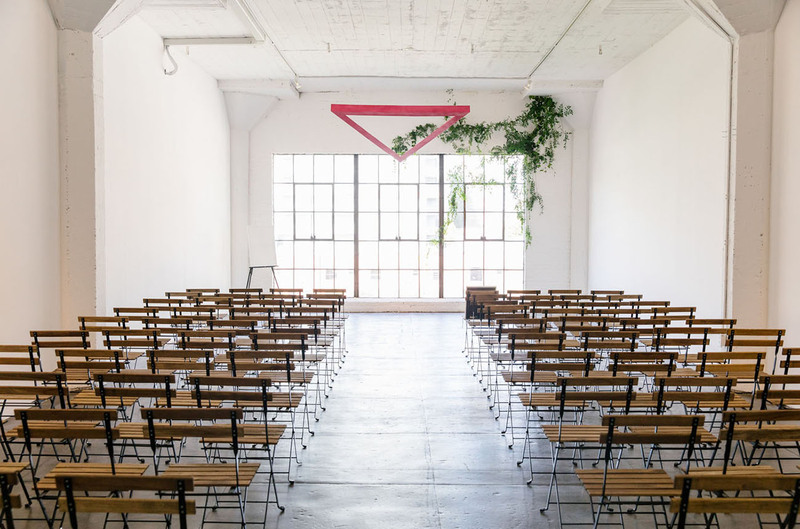 The ceremony space was a long white room and alone represented the drama, delicacy, and quiet strength of the love we share. 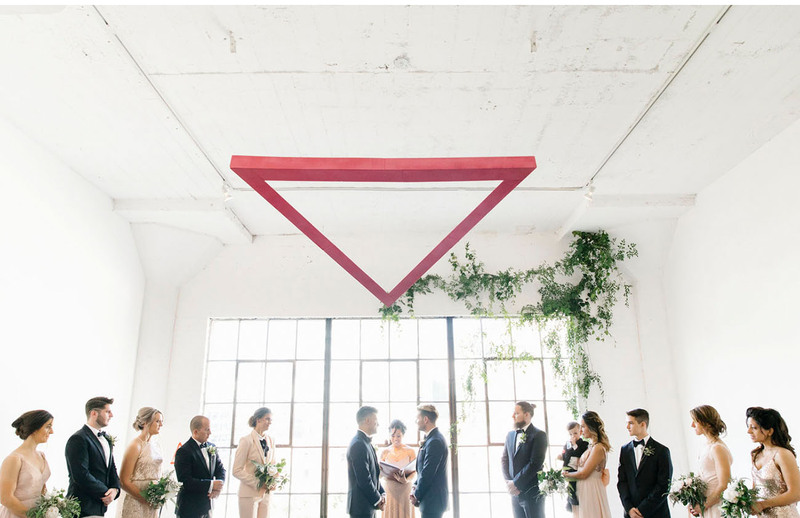 We designed and constructed the altar piece – a bright pink triangle representing our respect for the sacrifice of the LGBTQ people whom fought to make our day possible, our gratitude to the strong women in our lives, and the everlasting change that we will inevitably experience both together and apart throughout our lives. 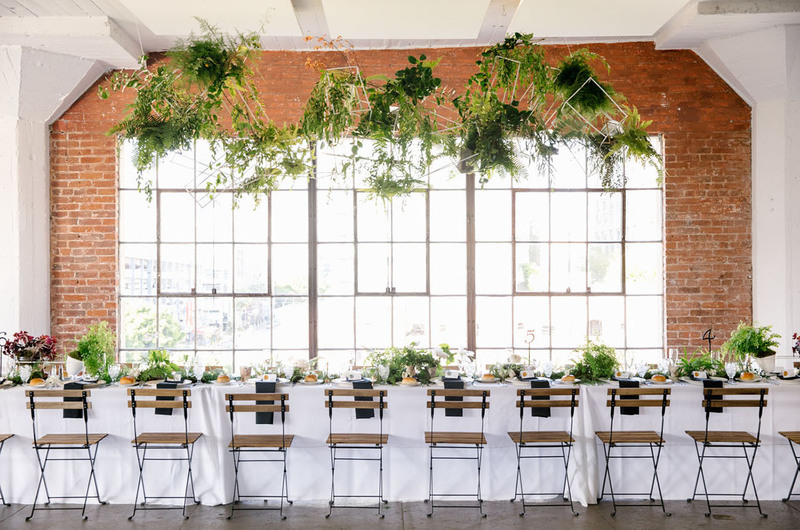 The florist, Christine Cater, added tons of greenery, white flowers and geo-shape fixtures creating a fresh, welcoming environment. One of our best friends, Lianne, officiated the ceremony. It was her first wedding, but we knew we wanted her calming spirit front and center at this pivotal moment in our lives. 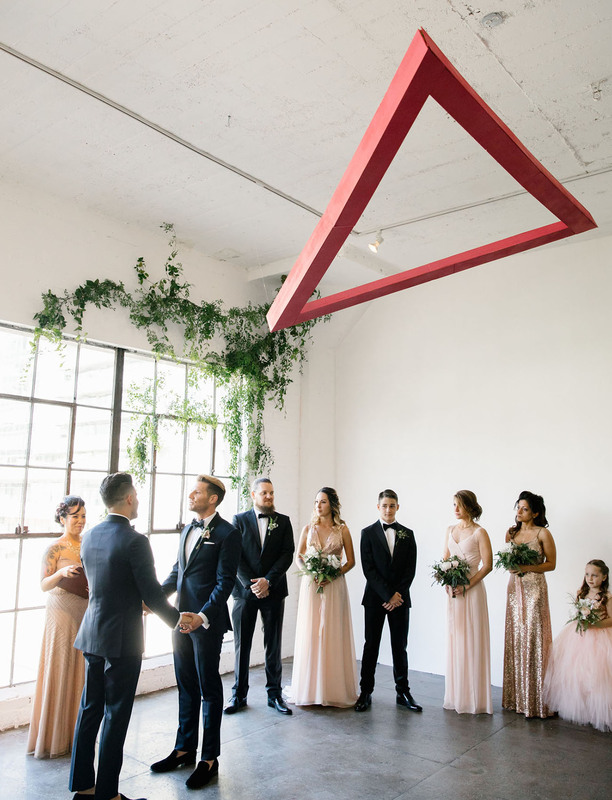 She started the ceremony with a grounding exercise, asking our guests to arrive in the moment and reflect on their relationship with both of us. This creating an electricity – a conduit through which the ceremony transcended ordinary life. The moment felt special, important, and intimate. 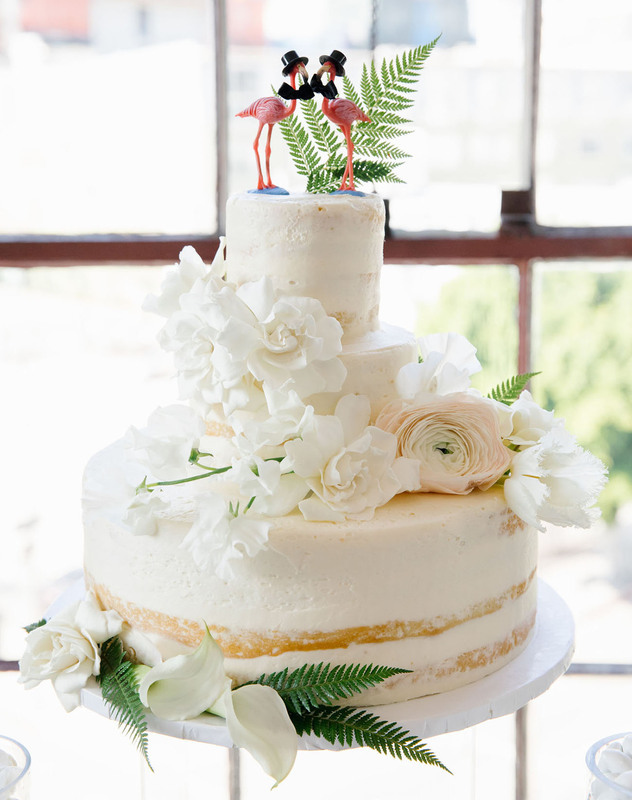 It’s hard to come up with just one, but we both agree the ceremony was the most memorable. 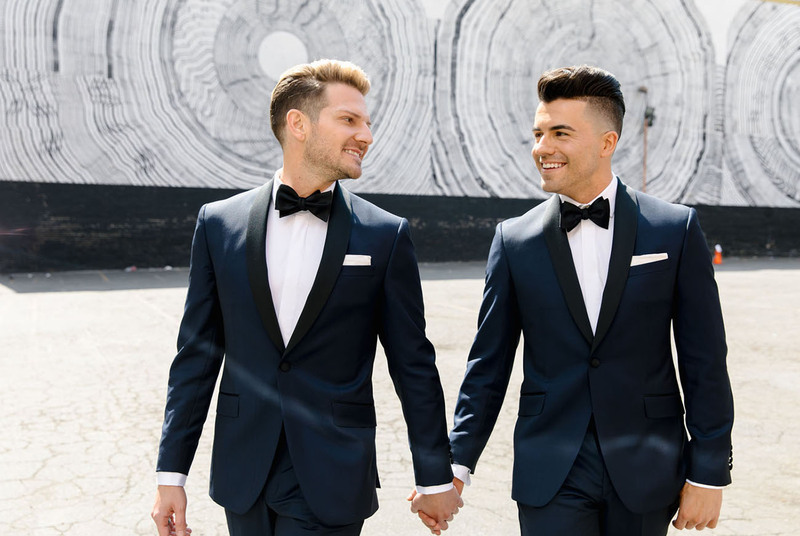 From the moment we walked down the aisle, locked eyes with friends and family, and exchanged our promise to one another – the ceremony became a monumental experience we will cherish forever. We also created a work of art at the ceremony! A tradition to celebrate at every wedding anniversary, we will add to the canvas a symbol, color, or abstract figure that represents the growth of our relationship in that year. Remember, it’s about you. Family and friends will no doubt have their own expectations, and while it is important to value their input, don’t lose sight of your collective dream. Work together, compromise, and be patient. Remember, you are celebrating your love – use that as your inspiration! 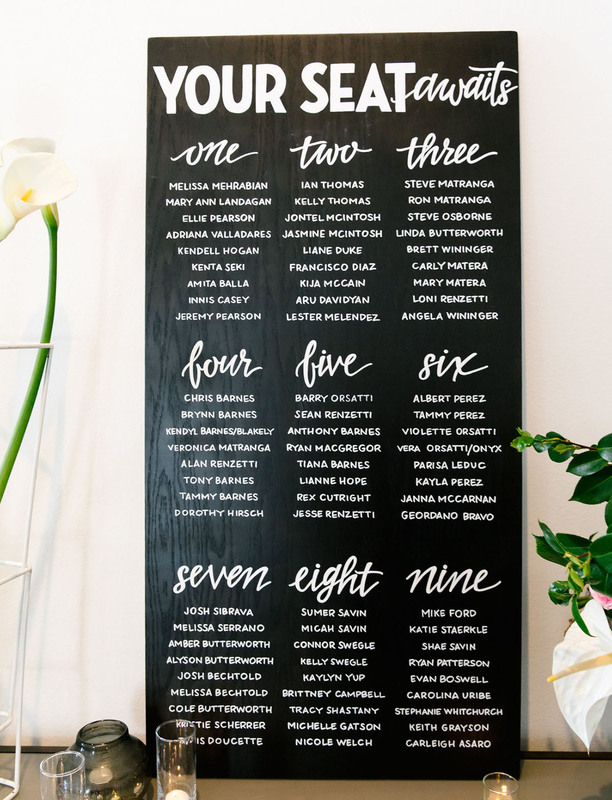 Isn’t this seating chart simple, yet gorgeous? It’s the fine handy work of Round Town Events. 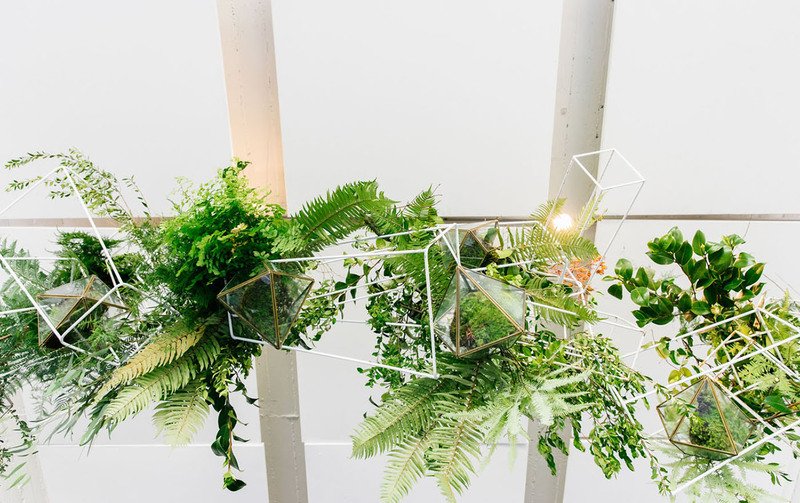 All that greenery + the geometric accents = TOO GOOD. 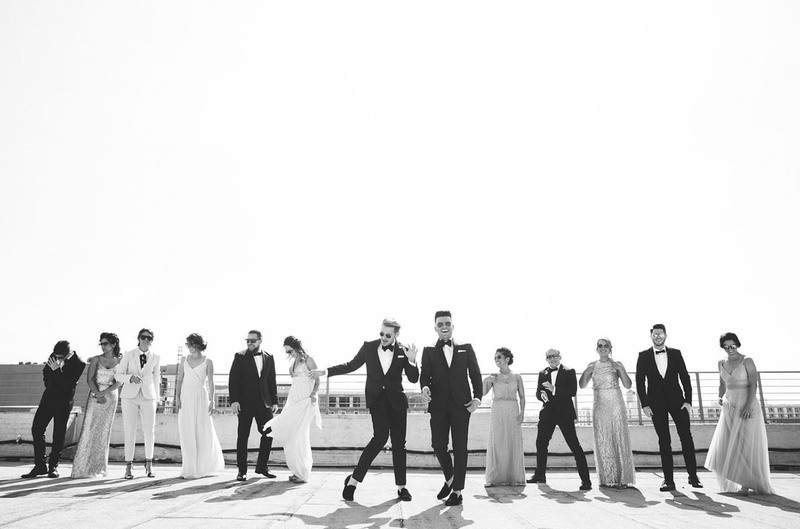 The reception was lively – due in large part to the rockin’ band we found, Night Owl. 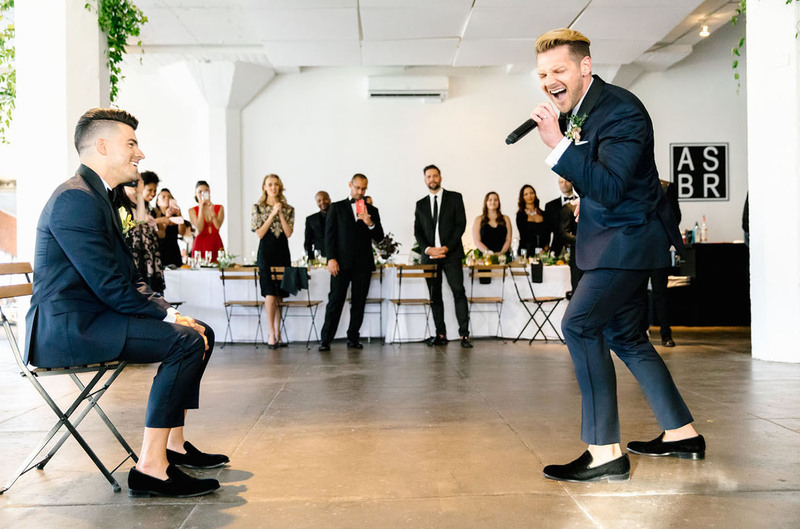 We (meaning, Sean) love to put on a show, so we knew we wanted a live band at the wedding. And, of course, Sean had to steal the mic a few times and show off his pipes. It was the perfect exclamation point to one of the greatest days of our lives together. Overall, it was a celebration of love and we couldn’t be more excited for you, A+S! Cheers from the team at GWS. Fun photos. Loved the blue suits. Colours turned out wonderful. 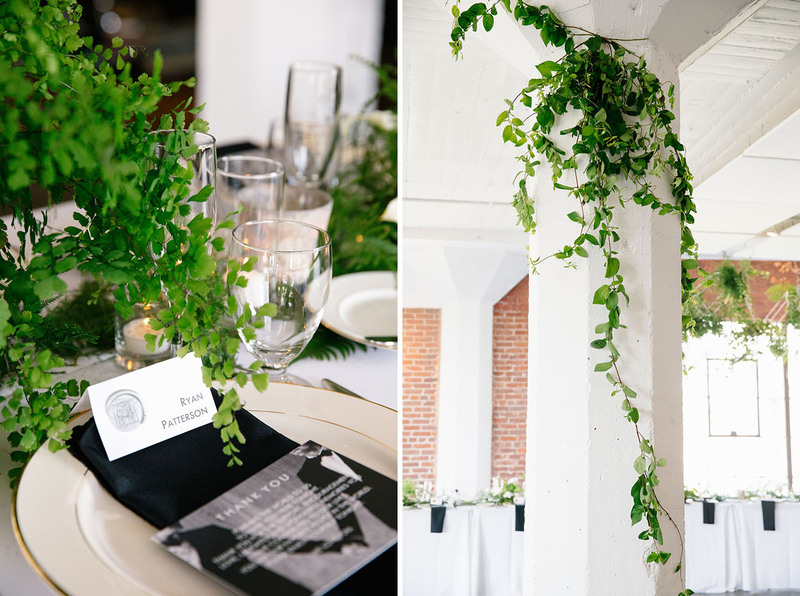 I love downtown Los Angeles weddings, but especially in these lofts and in the Arts district. 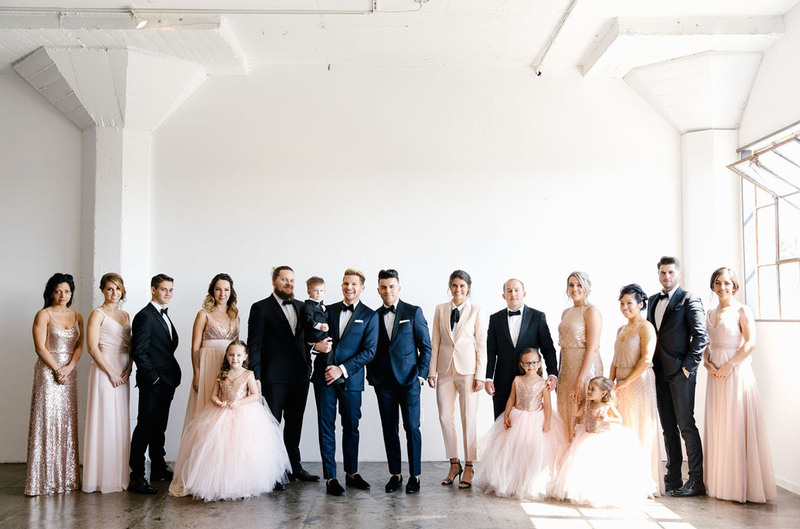 That looks like a hip wedding.